Honour your first bike and the ‘Little You’ who left the oldies for dust in search of wondrous new horizons. 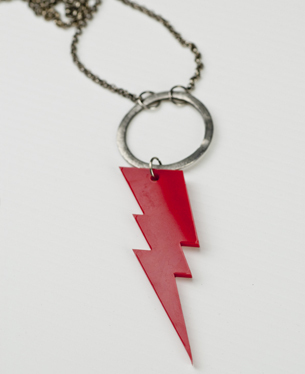 I like to wear this thunderbolt with all types of outfits. It makes me feel invincible. It’s 60mm long and 3mm think. And comes on a 300cm belcher brass chain to hang low around the middle of the chest. Turn geek-dom into sleek-dom with this Old School Floppy, proving that it’s hip to be square – again! 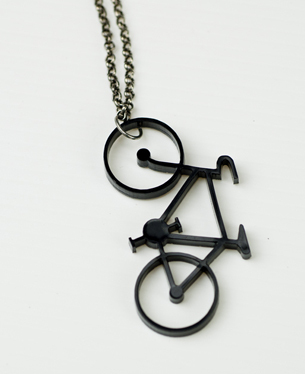 Black on the back, it’s 40mm square and attached to a divine silver belcher chain. © 2011 kittytrine.com. All Rights Reserved.